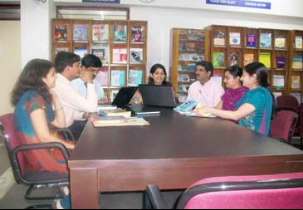 The institute is affiliated with University of Maharishi Dayanand and approved by AICTE. 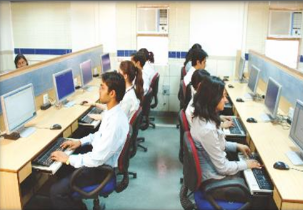 The institute offers courses in Bachelor and Master of technology & Master of Business Administration. 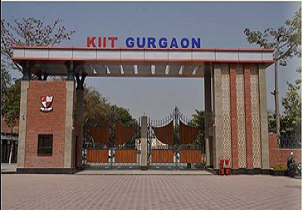 The KIIT Engineering Faculty is managed by Vidyapati Sansthan, a registered education company founded in 1969 to provide quality education to younger generations. The institute's main mission is to provide excellence in the institutional infrastructure to provide highly qualified academics, scientists, extracurricular and co-curricular activities and opportunities for the expansion of the faculty to improve lifelong learning and integral development. SMART Classrooms is our tool for best effective and efficient lessons. The Project Center is very useful for students to understand the types of problems and tasks in real time that were implemented in previous batches. 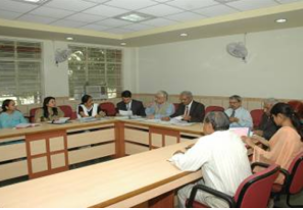 The institute's infrastructure includes impressive and modern seminar rooms, a convention hall and excellent conditions, as well as a fully equipped campus of the KIIT School of Education. It is located in a quiet, quiet and ecological environment. It is located in Bhondsi main road that leads to Sohna, away from the bustle of the metropolis. Admission to shelters is granted on the basis of "first come, first served". The institute has two separate shelters for boys and girls with a total capacity of 130 - 150 places. Both hostels are located on campus. How can I get admission into ur college is it through mains or do u have seperate examination??? And the aspirant will be given admission on the basis of performance in the entrance examination in MU-OET, JEE (Main) depending upon the category under which they are seeking admission. The fees for the course B.TECH are 300000, and the duration is 4 years, and it is of fulltime. sir my JEE MAINS marks 92 ,obc category 24000, +2 marks 68% ,please sagest my admission? The fee is 55k per semester and 80k additional fee. want to know about admission? Are you Interested inKIIT College of Engineering"? Please provide the following details.